A beginner is classified as someone who is either taking their first steps on the slopes, or someone who has only skied once or twice before. There is a great temptation amongst a lot of beginners to try to move on as quickly as possible, but it's worth remembering that those who learn all the basics properly get far more enjoyment out of their skiing by the end of their holiday. Green (easy) runs are recommended. No two intermediates will be the same, as the term covers a vast range of skiing ability. All intermediates however should be at home on a green (easy) run and confident enough on a blue (medium) run. You will have had at least a couple of weeks in Ski School, and will be able to perform linked turns and reasonable parallel turns. We would strongly recommend some additional lessons because there is still a lot to learn. Wrong techniques and bad habits picked up at this stage are very hard to get rid of. An advanced skier will be at home on any terrain, be it on or off piste, and will always be in complete control. It is true to say that whilst none of the ski resorts featured in our brochure offer particularly extensive skiing, there is plenty to keep even an expert happy. Some of the most challenging red (hard) and black (extreme) ski runs you will find are in Bansko and Borovets. For each resort we have a grading for beginners, intermediates and experts. Our rating system will help identify how suitable each resort is for the different levels of skiing based on the difficulty of the ski runs. The matrix below contains all the basic facts needed to ensure you choose the right resort for you, and the level of skills you have as a skier. Depending on your level of ability will determine which resort you might choose as some resorts offer better skiing for beginners and others are more difficult. These runs are for complete beginners and offer the easiest of all areas to learn and practice. These runs are usually at the bottom of the mountain, near the village centre. 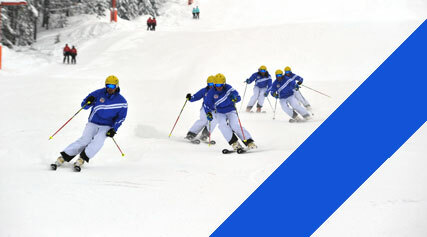 Ski schools use blue runs for beginners as they have very gentle gradients. In Europe the red run does vary a lot in different resorts with some very easy and a good step up for the second week skier, and in some cases are challenging due to narrow paths opening out to not so steep sections. Again like the red run the black run can vary by resort. The black run ranges from steep vertical drops in the extreme case to long challenging mogul fields. Once you have determined your ability level and the suitable resort, you then need to think about the ski or board equipment you may need. 1. Do you need to hire equipment in resort? 2. Do you have your own equipment? By equipment we mean: 1.The Skis or the Board. 2. Ski or Board Boots. If you have your own equipment you will need to book transportation of this on the flight. If you do not have equipment you will need to hire it in resort. Some holidaymakers who regularly ski or board prefer to purchase their own equipment and take it with them each time they go on holiday. 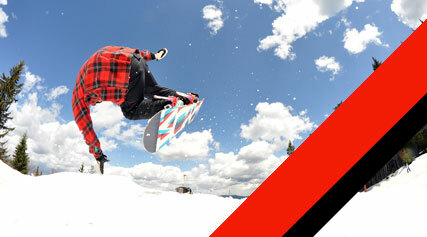 This equipment is usually items such as skis, a snowboard, ski or snowboard boots and ski poles. Because of the size of these items they are usually charged for seperately to the normal baggage allowance and we highly recommend you pre book this before arriving at the airport.